Malai Kofta Recipe - Malai Kofta Curry is a popular northern Indian dish .These koftas flavors made from cream or cottage cheese are served in a bowl full of sweet and thick creamy gravy. 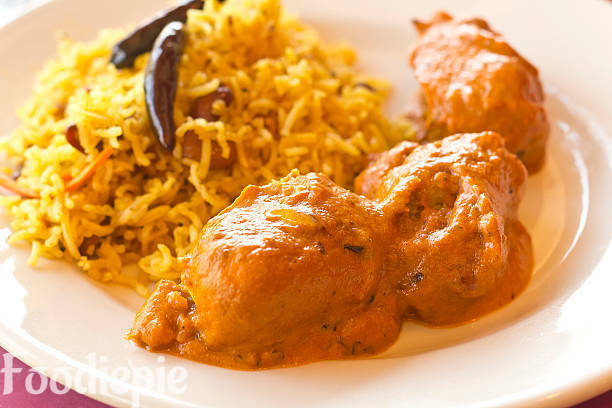 This dish goes well with both chapati and boiled rice and makes a perfect grand lunch or dinner for meals.If you are not hungry then your mind will want to eat this delicious dish. Malai Kofta is very easy to prepare at home even if you trying first time this recipe you will hit sixer.So without wasting any time Let's checkout Malai Kofta recipe first. Step 2 : Now Cut cashews in small pieces and clean raisins,peel the cardamom, and make the cardamom powder. Take a bowl mix chopped cashew nuts, raisins and cardamom powder,all well together stuffing is ready for filling in the koftas. Step 3 : Take a small portion from dough and make round lemon size chapati Flatten it and press it from center then fill the mixture in it which we prepared in step 2. Step 4 : Then seal the chapati from all sides and make a round ball.Remember close the stuffing in such a way that do not break the kofta while frying. Step 5 : Wrap the ball well into the corn floor and put them in the plate, make all the koftas in this way and keep them in the plate. Step 7 : Now Take cashews and muskmelon seeds and add in small grinder to make a paste.Then take another jar and add 2 brown cardamom, 6 black pepper, 2 cloves, ½ inch cinnamon Grind them and make a powder. Step 8 : Heat the pan, add oil to the pan and let it warm, add cumin seeds, chopped garam masala, ginger and green chili and fry for minutes then add cashews and melon paste and fry again until oil separate from paste, pour cream and stir the spices and cook for 10 minutes or oil starts separating from the spices. Step 10 : Now ad water according to you and cook for 10/12 minutes. Step 11 : Once one boil is coming add butter and coriander powder cook over low flame for 2 minutes. Step 12 : Now Gravy is ready Dip fried koftas in gravy and cover with lid.Leave for 5/10 minutes for Kofta balls absorbing gravy well. Finally : Transfer to serving Bowl and garnish with green coriander leaves serve with rice or chapati.